1. Bandwidth requirement: Line codes like NRZ-L require less bandwidth but have demerit of having DC level and bad synchronization. 2. Synchronization requirement: Line coding scheme like Manchester have good synchronization but require significantly higher bandwidth. 3. Receiver complexity: Complicated schemes obviously require more complex receiver adding to the cost. The input to the line encoder is the digital bit stream to be transmitted over the channel and output is a sequence of waveforms as a function of the input data bits. 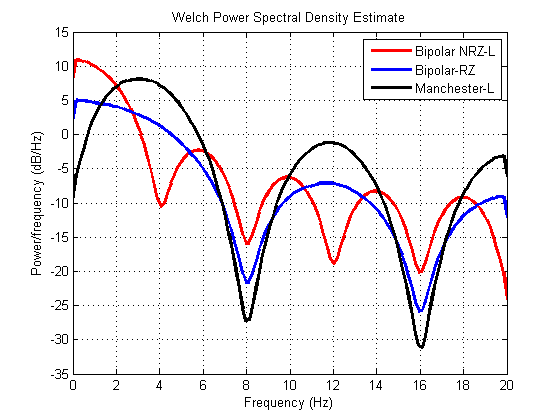 Here, we are going to present the Matlab simulation of Bipolar NRZ-L, Bipolar-RZ and Manchester-L schemes. 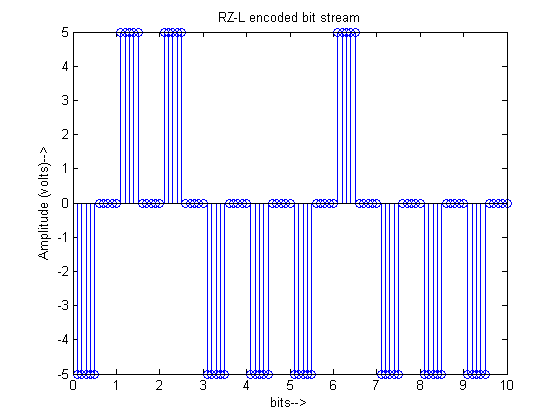 In the figure below, we can see how a sequence of bits ‘10110001101’ is encoded as physical wave-forms by each of these schemes. For NRZ-L, a ‘1’ is represented as positive voltage +V during the whole bit duration while a ‘0’ is represented as negative voltage -V during the whole bit duration. 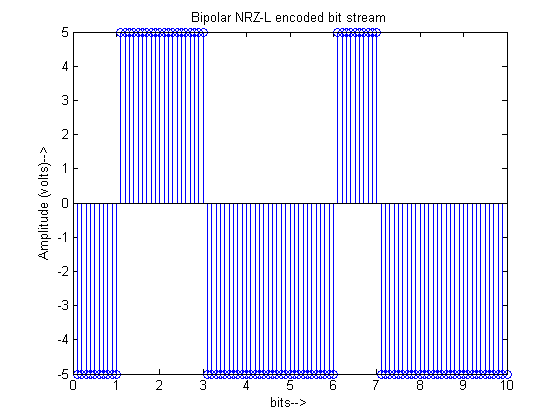 In comparison for Bipolar-RZ, we see that in the middle of the bit +V and -V return to zero for ‘1’ and ‘0’, respectively. Bi-phase-L is another name for manchester-L scheme where we see the transition from +V to -V in the middle of bit for ‘1’ and a transition from -V to +V for ‘0’. thanks for this nice explination. i would like to ask you about bi -phase-l. how we can compresse it, therefore, how we can do compression in Matlab. Moazzam Islam Tiwana received his M.A.Sc. degree in Digital Telecommunication Systems from ENST, Paris, France in 2007 and a Ph.D. degree in Mobile Communications from Telecom SudParis Paris, France, in 2010. 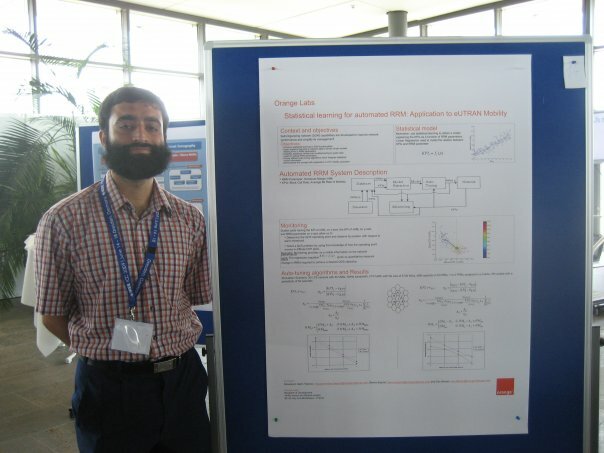 His PHD work was with the R&D Group of Orange Labs of France Telecom. He has more than 10 years of industrial and academic experience.